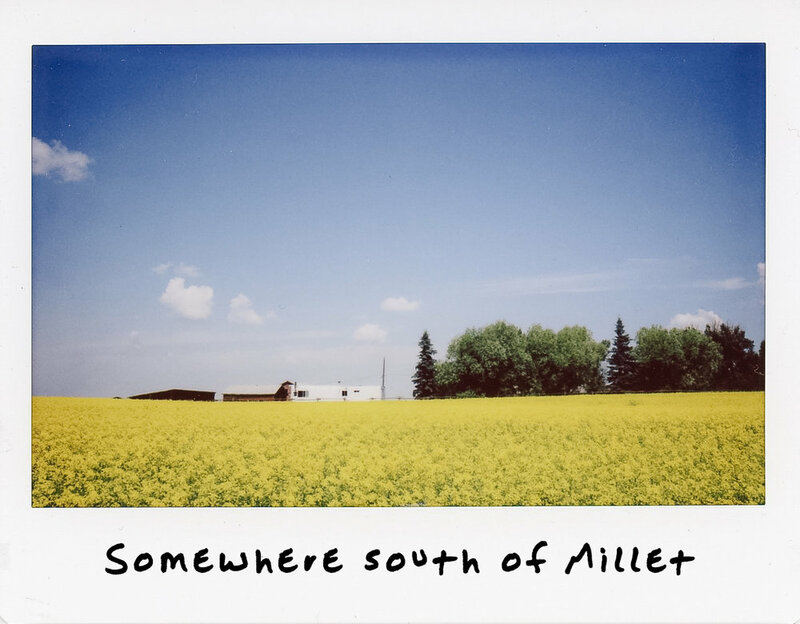 Recently I took a road trip south from home in Grande Prairie to where my parents live in Three Hills. Whenever I road trip solo I enjoy taking my time and stopping to see oddities along the way. 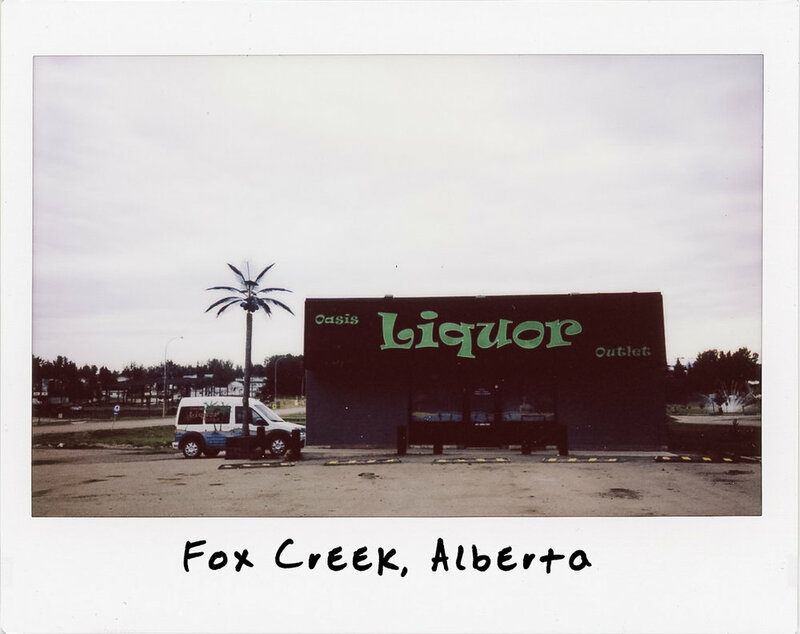 Small town Alberta is chalk full of such oddities and what better way to capture them than with instant film. The Fuji Instax Wide 300 is a beast of a camera shooting a wider form of Instax film. 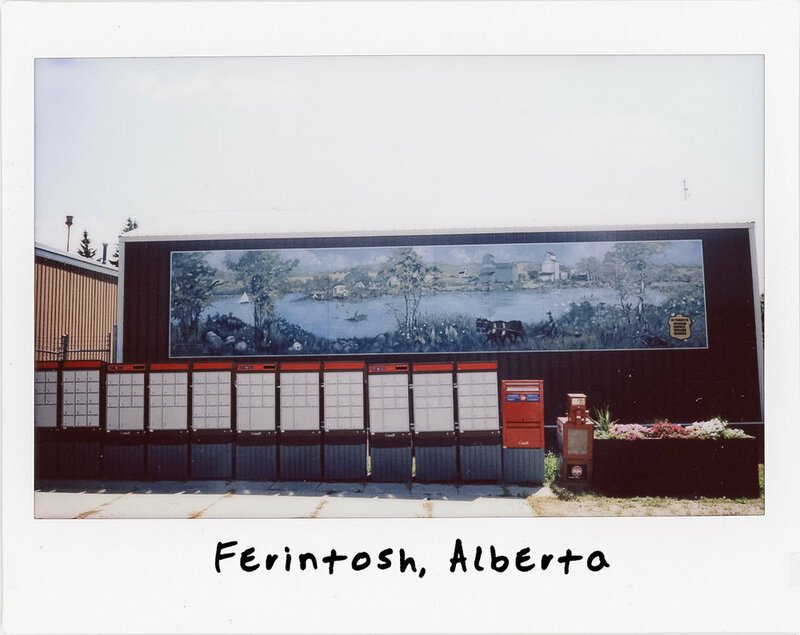 The greatest thing about instant film is that you can capture scenes without having to be terribly particular and watch as the film develops to see what you will get. That is a freeing feeling when mostly I try and shoot quite focused on composition and all the technical things that go along with photography. This isn't a review of the camera but I discovered a couple of things while shooting my first roll of Instax Wide. Firstly I noticed that wide really means wide. If you want to fill the frame with your subject you really have to move closer than you would think you should. Secondly, the built in exposure meter only has 3 settings, default, light and dark. These actually work quite well. In a brightly lit scene shooting in the dark setting gives you much more detail and if shooting into shadows like the shot in Ferintosh you can blow out the sky and expose what needs to be highlighted. I am not surprised by the incredible popularity of instant film. Ever since the first Polaroid Land camera came out in 1948 people have enjoyed the simple wonder of instant film. Today it seems like the options are increasing with the likes of Fuji and Impossible film, this is encouraging for those that want to see film live on. There is something quite magical about seeing an image slowly come to life with the use of light and chemistry, the kind of magic that digital will never be able to reproduce.